Need to declutter your home fast? Here are 15 tips to help you do just that. Conquer one area at a time. 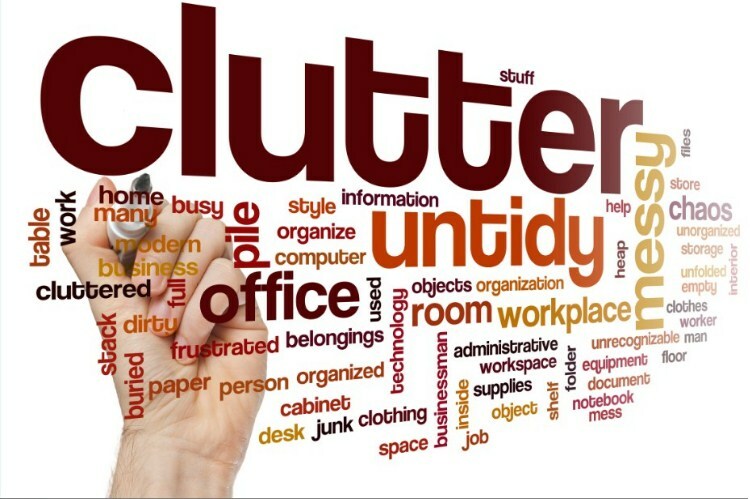 Keep in mind that decluttering fast doesn’t mean your entire home will be spotless in a day. So create different sections of your home (you can even break down a room into different areas) to declutter efficiently and quickly. Create three piles/boxes designated “Keep”, “Donate” and “Trash”. Revisit the “Keep” pile with the attitude “I really want to declutter my home!” and you will get rid of stuff much quickly. Use the clock to your advantage. Get a pile of stuff and set the timer for 5 minutes. Tell yourself you only have 5 minutes to declutter that pile and don’t do anything except focusing on doing just that. Invite someone (not a close friend) to your home. We often tidy up our homes because we HAVE to, when some guests are coming. So just invite someone and you’ll have a reason to quickly do some much-needed decluttering. Make a date with your clutter. We often fail to declutter because there’s no time in our busy schedules. So make an “appointment”for this task just like you do for other important engagements. Visualize the end result. This is an excellent way to motivate yourself and complete your decluttering quickly. Shed the surplus. Anything that you haven’t used for over a year, you probably won’t need to use again. With the exception of things like important documents, just identify “surplus” items and get rid of them. Group similar things together. This is a great way to kick-off a decluttering session. Otherwise you can sit in confusion for a long time, not knowing how to start. Maximize your space. Brainstorm ideas on how to make your kitchen shelves more manageable. For instance, if the main cook in your family can’t reach the pasta shelf, lower it. Clear the floor. If you see anything one the floor that’s not a carpet, rug or piece of furniture, pick it up. Clearing the floor is an excellent technique to declutter quickly. Turn your attention to flat surfaces. Get containers and remove all unnecessary piles from tables, desks, countertops etc. and put them in containers, throwing away as much as possible. Create rainbows in your closet. Hang your outfits together, starting with light colored on one end and progressing to darker shades towards the other. Do the same for each clothing type e.g. dresses, shirts, pants, blouses etc. Light up your home. People tend to pile up junk in poorly lit areas. Lighting up your house will help you minimize clutter, speeding up you decluttering as a result. Keep wastebaskets handy. There should be a wastebasket in every room of your home. Many people create clutter piles because they’re too lazy to carry something to another room or throw it out. This will also help you declutter faster. Involve your family. Your decluttering process will be much faster if everyone in the house lends a hand. Follow these tips to declutter your home fast and you’ll save yourself a lot of headache and have a decluttered house very soon. Decluttering your Paperwork; How to Tackle the Task and Create Order for the Future.